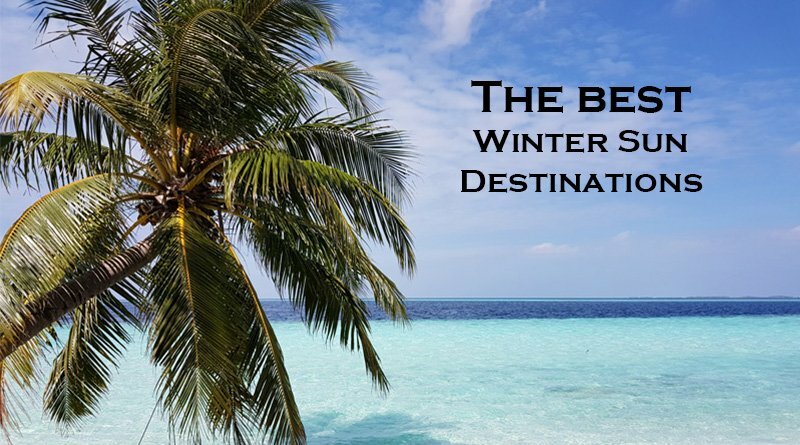 This winter sun holiday destinations list will help to get some ideas on where to travel to escape the coldest period of the year! While some people are preparing their ski and snowboard equipment for winter holidays, us, beach lovers are already planning how to skip the grey, snowy days and replace them with lying under palm trees on white sandy beaches and with snorkeling between colorful corals and tropical fish. If you always wanted to miss the Christmas craziness and spend the holidays with pure relaxation at the beach instead of running after gifts, this winter sun holiday destinations list is what you need! 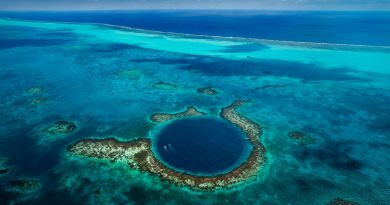 If your question is where is the best place to go on a tropical holiday in December to fill yourself up with sunshine and find pleasant sea temperatures for some snorkeling, keep reading and we give you some tips! Do you know why Florida’s official nickname is The Sunshine State? Yes, because the sun is shining! Even in winter! Florida is the best place for winter sun in the US! Expect pleasant weather with average air temperature of 20 °C (68 °F). The maximum could reach 25 °C (77 °F) but with real feel over 30 °C (86 °F) on wind-free days. South Florida beaches and Key Largo coral reefs await swimmers and snorkelers with 22-23 °C (71-74 °F) sea temperature. So what are you waiting for? Enjoy the sun this winter on Miami South Beach! 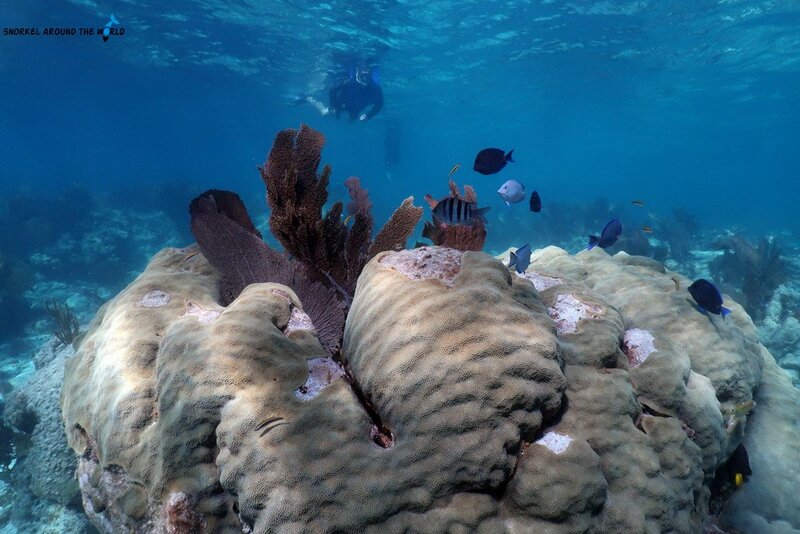 Spend a day snorkeling in the John Pennekamp Coral State Park, drive the breath-taking Overseas Highway to Key West and forget about cold winter days! Beautiful white sandy beaches, stunning marine life, rich culture, and diverse landscape. These make Mexico one of the best winter sun holiday destinations! 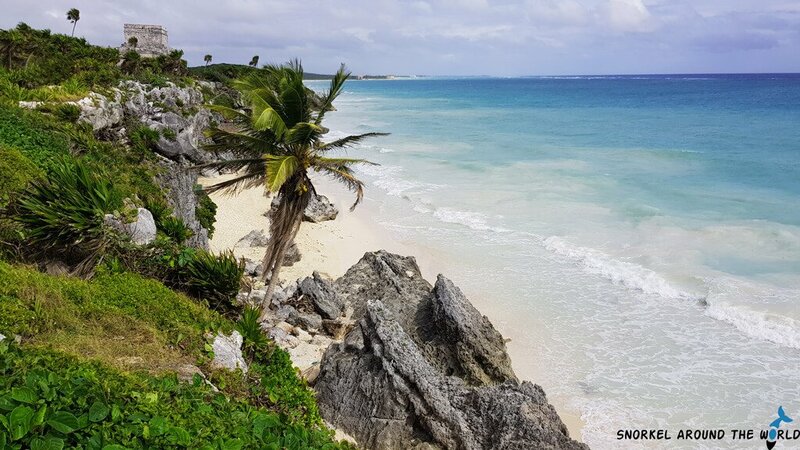 Year after year, travelers from all over the world choose to spend their winter holiday in the cozy tourist destinations of the Yucatan Peninsula like Tulum, Playa del Carmen or Cancun. Warm, but not too hot air temperatures (around 28-30 °C, 82-86 °F) make this period great for outdoor adventures. The sea is warm enough (25-27 °C, 77-80 °F) for any water activity. Ocean fanatics can choose a wide variety of underwater activities no matter which destination you stay. In Cancun, don’t miss out snorkeling in the Underwater Museum, enjoy first-class shore snorkeling in Puerto Morelos, swim with turtles in Akumal and discover the magical world of the cenotes in Tulum! The ABC Islands –Aruba, Bonaire and Curacao- have perfect weather all year round but are especially famous as winter sun holiday destinations! The most famous of these three heavenly islands is Aruba that is often called “One Happy Island”. Thanks to its special atmosphere and friendly local people, tourists returning year after year. 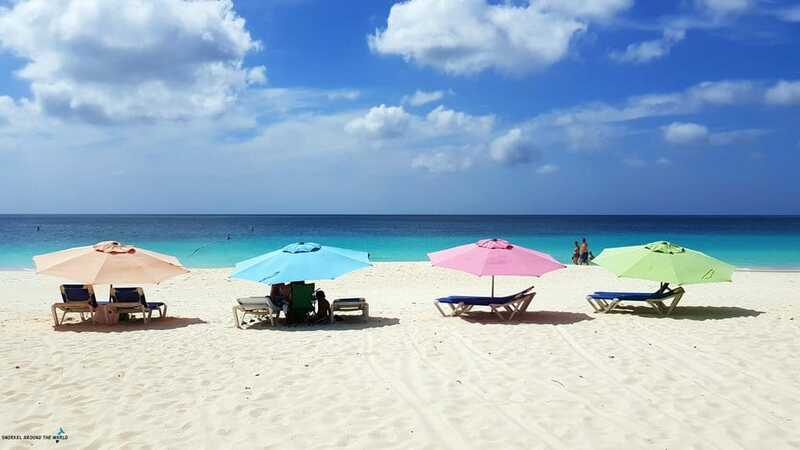 What else could be better than enjoying fresh cocktails on the best Aruba beaches like Eagle Beach which was named as one of most beautiful white sandy beach on the world while it is freezing cold in your home county? Enjoy the tropical weather with 25-29 °C (77-84 °F) temperatures and 27 °C (81 °F) warm Caribbean Sea! Many travelers think about Asia if it comes to a winter getaway so let’s see what the best country is to visit between December and March. Thailand is one of the most popular winter sun holiday destinations. But keep in mind that the climate is different on the east coast (Gulf of Thailand) and on the west (Andaman Sea). Therefore, if you plan to go to Thailand in winter, better to stay around Phuket, Krabi or visiting the Similan Islands. Koh Tao snorkeling trip is best to schedule for the summer months. Bali, another celebrated destination in Indonesia, unfortunately, gets heavy and thundery rain in the winter season. Therefore, snorkeling in Bali not recommended due to high seas and low visibility. But don’t be sad thinking there is no place in Asia with good winter weather because here come the Philippines! This green archipelago with more than 7000 islands is the best to visit between November and April. This is the dry season with little chance of rain. In this period, the whole country is accessible. You can get to the most pristine beaches and untouched coral reefs that are closed in the wet season. Expect to have hot-humid tropical weather and warm sea! 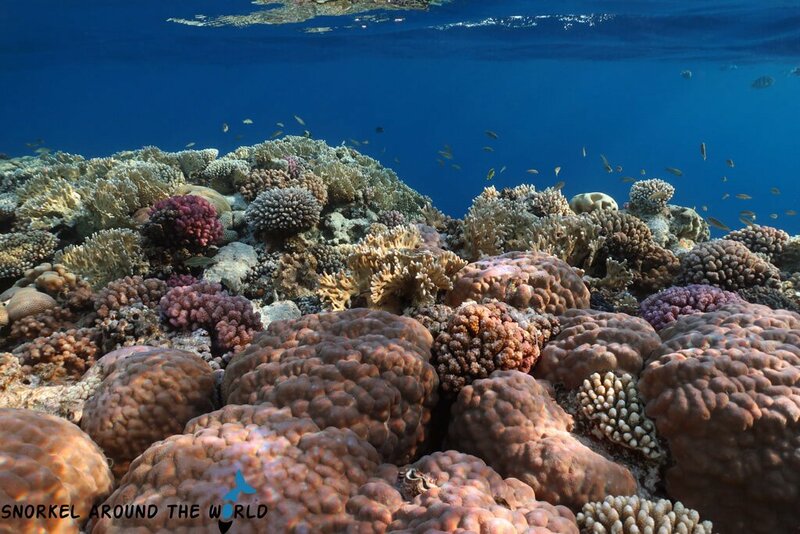 For the best snorkeling, consider visiting the Apo Reef National Park, Bohol, Batangas or Palawan just to mention a few from the thousands of heavenly coral islands of the Philippines. If you are wondering what is the most dreamy winter sun holiday destination don’t search any further! The Maldives is where you need to travel! The real tropical getaway where you just need to enjoy the sun on picturesque white sandy beaches. The Maldives enjoy the best weather during winter months with very little chance of rain and wall to wall sunshine. The Indian Ocean clear, warm water offers excellent snorkeling for the whole family. 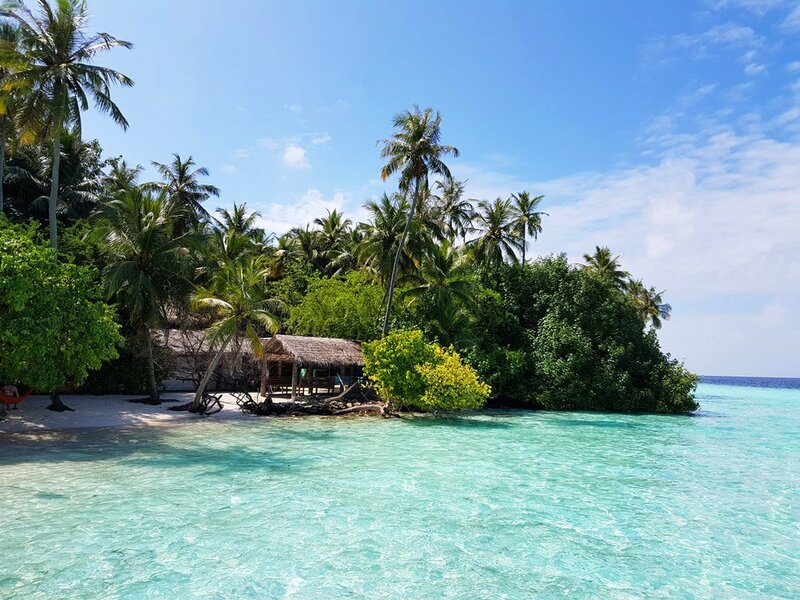 The Maldives coral reefs, however, were affected by El Nino several times- feature rich marine life and you can swim with turtles, rays and baby sharks! Do yourself a favor and let your childhood dream come true by enjoying a Maldives vacation! There are many great winter sun holiday destinations in Europe like Malta in the Mediterranean and The Canary Islands in Spain where you find summery temperatures even in the cold winter months. But if you want to include swimming in the sea and snorkeling too, we recommend choosing Egypt! Although Egypt is in Africa it is the warmest winter destination from Europe. Egypt beach destinations are available with a 3-4 hours long flight from major EU airports. 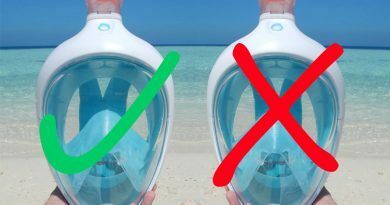 The sea temperature is 23-24 °C (73-75 °F) meaning you can snorkel wearing UV protection clothes only. If you use to feel cold, get a 3mm snorkel suit! 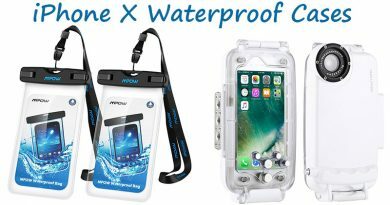 It will keep you warm for long hours in the water! The air temperature is approx. 24-26 °C (75-79 °F) during the day, might feel around 30 °C (86 °F) on wind-free days. To decide what destination to choose, read our Egypt travel guide with detailed information on all big Red Sea coastal destinations. Our personal experience shows that Sharm el-Sheikh and Marsa Alam are the best winter sun holiday destinations in Egypt. 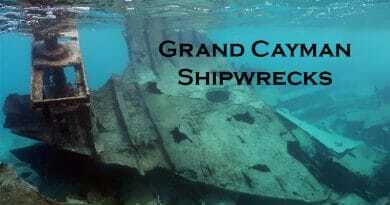 Sharm el Sheikh best snorkeling places are free of strong currents and less windy even in winter. Marsa Alam, lying on the south, enjoys slightly higher sea temperatures. 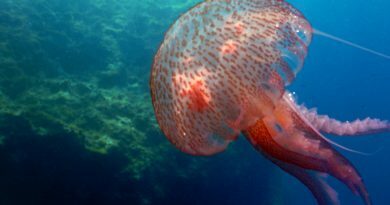 Moreover, thanks to the reduced number of tourists in winter, sea creatures return to hotel reefs after the busy summer! You have a bigger chance to spot turtles and the famous the dugong in Marsa Alam! The icing on the cake that Egypt all inclusive hotels offer amazing winter deals! You often can get a 2-week stay for a normal 1-week price. 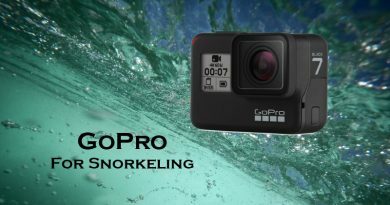 ← Previous GoPro red filter – Why and how to use it?